Need more information about booking Home 9651561 ? 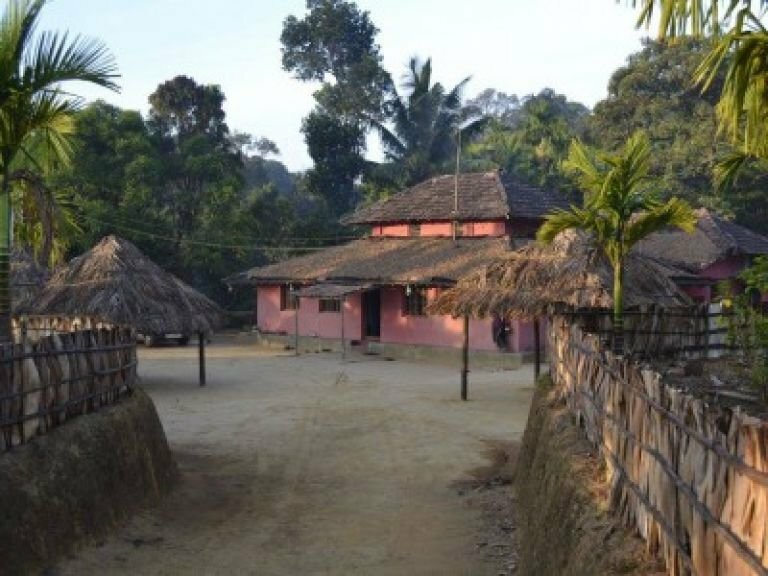 Proshya Home Stay, is a plantation house situated on the bottom of a hill facing acres of green areca plantation. The Home Stay is situated in the heart of the Western Ghats, 72 kms from Sagar in Shimoga District and just 35 kms from the world famous Jogfalls. Proshya is also one of a very few homestays in the Western Ghats to be certified by the Department of Tourism, Karnataka State. It is a tourist’s paradise with its misty hills, lush greenery and vast stretches of areca plantations. Add to that the unmatched hospitality of Proshya, and you’ve got yourself the perfect getaway. Nestled in its tranquil surroundings, Proshya is a home-away-from-your-home. If you’re tired of the hum-drum and rush of everyday city life and are in need of rejuvenation, Proshya is the place for you. By doing away with hustle-bustle of city life, you will really experience the inner-peace, if at all you are searching for it. Come, fill your lungs with fresh air, clear your thoughts, relax your mind and get started all over again with renewed vigour. You can get in touch with Goutham (the owner) through the contact form on this page. Send Goutham (the owner) an email through the contact form on this page. Alternatively, if there’s a phone number on this page, you can call them. How do I contact Goutham (the owner)? If you’ve already booked, go to Manage your holiday booking to view Goutham the owner's contact details or send them a message. Or send Goutham (the owner) an enquiry through the Contact the owner/manager form if you’d like a quote or more info first. When you pay online through the Book your stay form, a booking request is sent to Goutham (the owner). You’ll find out within 24 hours whether they’ve accepted - no money will leave your account before then. You can also request a quote from Goutham (the owner) through the contact form. The owner will email you the total cost for your dates and a link to book and pay online. Use the Book your stay form to pay provisionally online. You can pay by credit/debit card or PayPal. Goutham (the owner) will have 24 hours to accept the booking and no money will leave your account before then. Why can't I call Goutham (the owner) before booking? You’ll need to contact Goutham (the owner) to do this. Send them a message in Manage your holiday booking or through the contact form on this page. You can request to change the dates or number of people on your booking via the Manage your holiday booking page. To change your holiday dates use the Edit booking button. If you need to change the number of guests staying then send Goutham (the owner) a message. If Goutham (the owner) agrees, they’ll send you a revised quote outlining the changes. You can review and accept/decline this from the Manage your holiday booking page. You’ll have 48 hours to take action before the revised quote expires.